Paazy Hosting offers topflight Joomla solutions. We offer new customers an automated Joomla script installation at signup. Existing hosting account holders can install Joomla with one mouse click. With us, you can order a Joomla web hosting account along with a new domain name for only $5.83/mo. 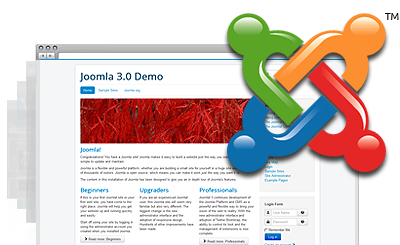 Joomla™ is a trademark of Open Source Matters and shares no affiliation with Paazy Hosting. Publish your Joomla-powered website to the World Wide Web in an instant with Paazy Hosting! Paazy Hosting satisfies all criteria for hosting Joomla-based web sites. Paazy Hosting offers an outstanding customer support service.